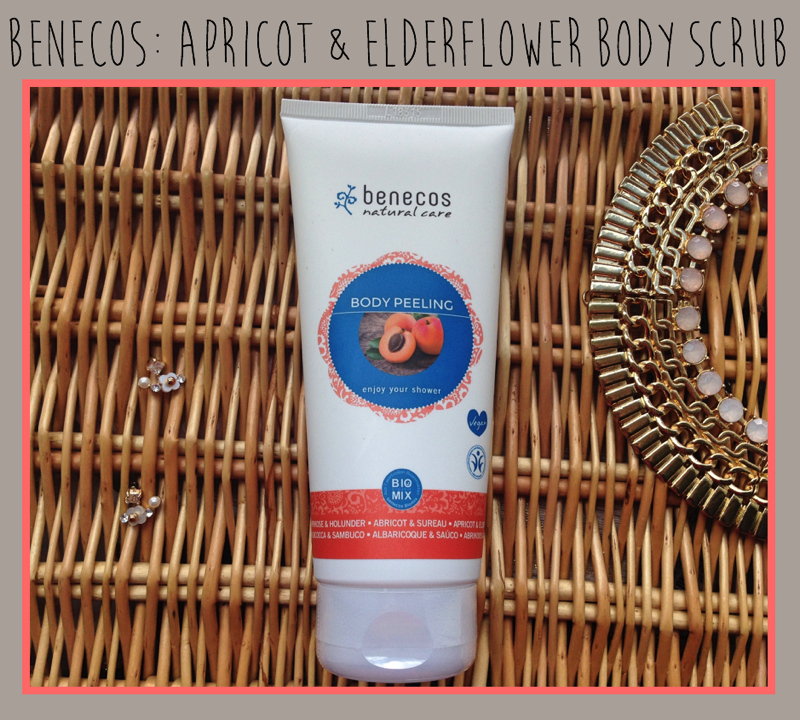 Like all benecos products, this body exfoliator makes great use of natural ingredients that work wonders on your skin. The scrub is made with ground apricot kernels and fine almond skin powder. It's enriched with lime blossom hydrosol, elderberry extract and apricot kernel oil. As you can imagine from that list of ingredients, the smell is absolutely divine. The exfoliating action itself comes from the apricot kernels. These are incredibly gentle on the skin, but do a fantastic job at removing dead skin cells to leave you with a smooth finish. The added benefit of using these kernels is that this scrub has no polluting micro plastics - so you can rest assured that its wholly environmentally-friendly. In terms of how I've personally found the scrub, I've been really impressed. I can be very picky when it comes to body scrubs and, as a result, I've tried my fair share. One of the biggest problems I've encountered previously is that I felt like I was always losing half of the product into the shower/bath before I'd even started scrubbing my skin with it. This is often because scrubs are quite dry and so just crumble and fall off your skin. This benecos scrub, however, seems to have solved all of these problems. The scrub itself comes out a little bit like a thin gel (as you can see from the picture below). This means that when you apply the product, it lays nicely on your skin and doesn't just fall off. 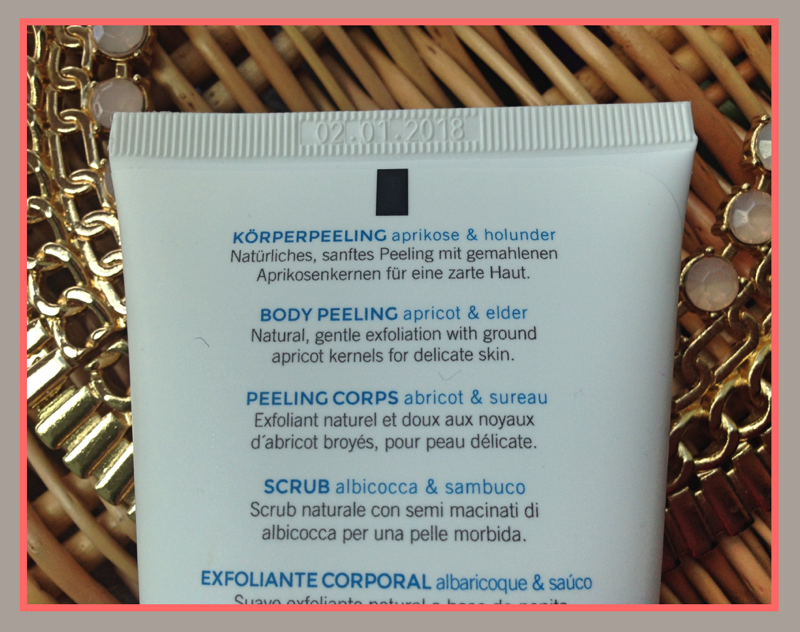 This gives you time to fully exfoliate your body without using up a ridiculous amount of product. The added benefit of this scrub is that you actually get a slight lather when you use it - so you're not only exfoliating, but you're also cleansing! It's like a scrub and a shower gel all in one. I have had great success using this scrub - after one use I could tell that my arms and legs were visibly softer and smoother. The 200ml bottle is currently £4.95 through the benecos website. I'll link the product page: here. I feel like this is a steal when you consider that you're getting an organic product that contains no nasties, is vegan-friendly and sulphate free. I can also assure you that the 200ml will really last you a good amount of time - the lather that you get with this product makes even the smallest amount really stretch.